MS Dhoni to have stand named after him at JSCA stadium? India face Australia in the third ODI at MS Dhoni's hometown of Ranchi on March 8. According to social media reports, former Indian captain MS Dhoni will be honoured with a stand being named after him at the Jharkhand State Cricket Association (JSCA) Stadium in Ranchi. It will reportedly be called the "MS Dhoni pavilion" and a placard for where it will be placed has already been installed. These reports come with the India squad for the Australia ODI series set to be announced and the third ODI between the two teams set to take place at Ranchi on March 8. Stands being named after players is nothing new and Dhoni will reportedly join that illustrious list when the south stand at the stadium is renamed after the 37-year-old. MS Dhoni enjoyed a sensational ODI series in Australia and will be hoping to continue his rich vein of form in the upcoming ODI series against Australia, which will be India's last international assignment ahead of the World Cup in England. 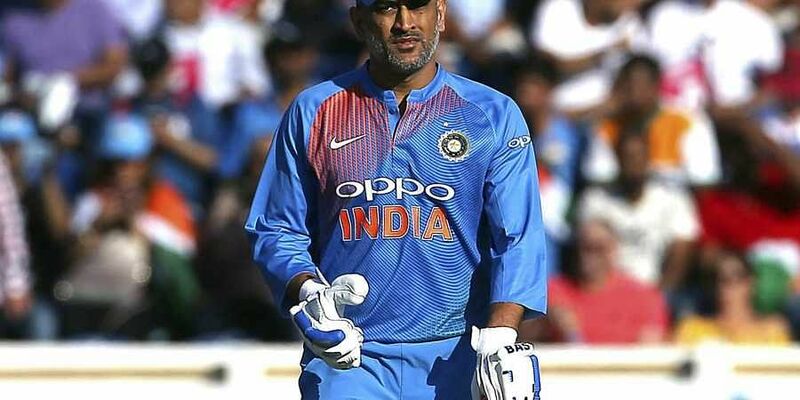 Chairman of selectors, MSK Prasad, heaped praise on Dhoni ahead of the Australia ODI series and said that while there was no doubting his skills as a keeper, the 37-year-old's batting in Australia has shown that he has still got what it takes. Speaking to ESPNCricinfo about Dhoni's importance ahead of the World Cup, MSK Prasad said: "He is going to be the most important guy for India in the World Cup: be it in his advisory role to Virat, be it with his wicketkeeping, be it with is on-field mentoring of young players."